Cord: 120", Max Height: 51.5", Downrods: 1-6", 2-12"
Cord: 120", Max Hang Height: 51.5", Downrods Included: 1-6", 2-12"
Aria is a contemporary style that effortlessly complements the facade of any exterior. 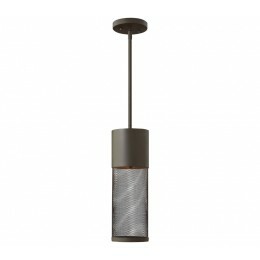 Its modern shape in durable aluminum is enhanced by a stainless steel mesh shade. 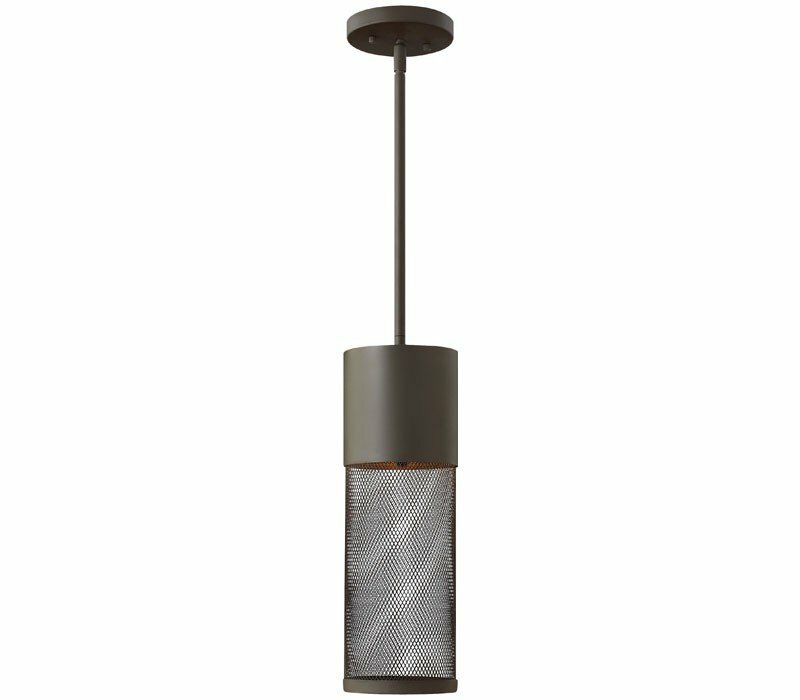 The Hinkley 2302KZ-LED Aria collection Outdoor Pendant Lighting in Buckeye Bronze uses LED light output and brings Modern style. This item is 19.25"H x 5"W. The wattage is 5. The Hinkley 2302KZ-LED requires 1 bulb (included). Additional Information: Shade-Mesh Metal.